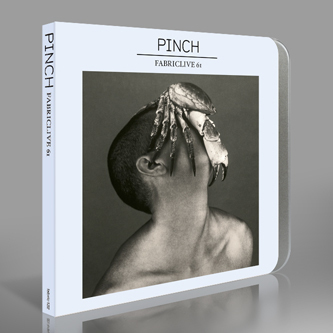 Tectonic boss and catalytic Bristol kingpin, Rob Ellis aka Pinch helms the latest Fabriclive mix. 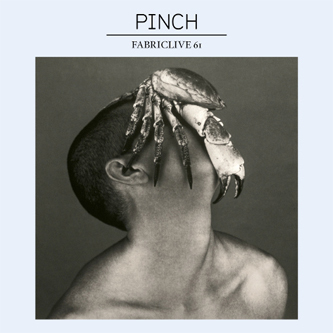 Since 2005 Pinch has constantly thrilled us with output on his own and a wealth of other labels, assimilating influence from Berlin House & Techno to Grime and Jungle within his visionary bassbin matrix. Recent years have witnessed some of his sickest and most diverse productions, from an epic album collaboration with Shackleton to explorations of 128bpm rollidge and scything 150bpm steppers, all defined by that dreadnaught sense of purpose. His mix here plots an elliptical route across the tempo scale, traversing Technoid 4/4s to halfstep and rugged tribalism like it ain't no thang. It opens and closes with parts 1 & 2 of Distal's 'Venom' with the intent that the mix could be played on a loop, if you so wished: "I really like the idea of certain kinds of music existing in its own infinite context and setting up the mix to loop like that was playing entirely into that idea." In between we're propelled by the likes of EQD's momentous '#005B' thru a ruck of his own productions as Deleted Scenes and collaborations with Shacky, Quest, Loefah, Photek and Emika, to a bullying section of ruffige from Goth Trad, Distance and Jakes, ending the cycle with bleeding-edge freshness from Om Unit and Illum Sphere. We're sure the heads will agree; it's a mighty session, and arguably the best mix he's ever put together.